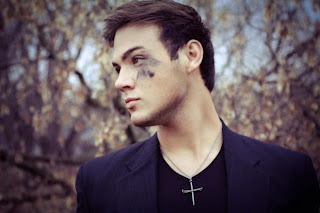 Barbizon Midwest Review: Hallelujah Bryar Hansen: Somebody Call the Doctor! Hallelujah Bryar Hansen: Somebody Call the Doctor! 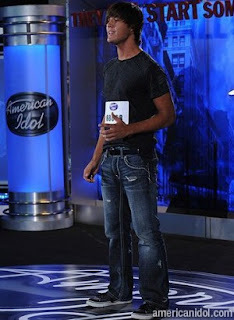 before the celebrity judges of "American Idol"
Barbizon Midwest Minneapolis Graduate Bryar Hansen got his big break, as I'm sure you all remember, on "American Idol" Season 10. Aside from earning himself the Barbizon Triple Threat award for his singing, dancing, and acting abilities and becoming one of the 125 finalists in his "Americal Idol" audition... We would now like to give him "The Jawdropper Award!" Okay, no it's not a real award, but seriously what happens to your jaw when you read that this handsome talented young man is now attending the pre-medice program at the University of Minnesota Rochester? In a recent interview, Bryar attributes Barbizon Midwest for his start in the industry. "I got started my freshman year (in high school) when I was signed with Barbizon Modeling in the Twin Cities," Hansen said. "It's a place for kids who want to get into acting and modeling." pre-medicine program at the University of Minnesota Rochester. After earning Barbizon's Triple Threat Award "It really boosted my confidence," Hansen recalled. Although Bryar has been working with agencies in Madison, Chicago, and the Twin Cities, modeling for Champ's Sports and Kohl's, his unltimate goal is not the stage. "I want to be an oncologist," he said. Check Bryar out singing "Hallelujah!" Bryar, we are so proud and wish you success in ALL that you do: modeling, acting, singing, studying! You are officially a QUADRUPLE THREAT!